£24.5M compensation recovered in the last 4 years alone! If you believe you have been over exposed to vibration because of your work then you could well be entitled to make a claim for compensation. More and more people are suffering from this terrible condition due to employers negligence – if you are one of those people then please call us now on 0800 028 2060 or complete our Online Claim Assessment and we will gladly talk you through the next steps if you wish to take it further. Until fairly recently it was referred to as vibration white finger but as more research has been done on the condition, it is now known that there are more symptoms than simply ‘white fingers’ and as such, these days it is often referred to as Hand Arm Vibration Syndrome (HAVS). When using such power tools for any long periods of time or in a repetitive nature, the nerve endings and blood vessels slowly become damaged. When the blood doesn’t flow well through the vessels, the fingers become white and when the nerve endings become damaged, there is a loss of sensitivity in the touch. Every time a power tool is used, this damage gets worse and worse. Keeping the ambient temperature of the working environment at a comfortable level – this is so that the blood flows normally through the fingers and forearm. Often these extremities are the first to lose their blood supply if the person gets cold, which can lead to increased damage. If you are a smoker, you may not know it but your blood thickens with every cigarette, which in turn leads to decreased blood flow, which is often why you’ll feel cold in the extremities of your body such as your fingers and toes. Where vibration is added into the mix, this decreased blood flow acts as a catalyst for damage to those all important blood vessels and nerve endings so quitting smoking is a great form of defense against vibration white finger along with the many other obvious smoking related illnesses. Hold the tools as loosely as is SAFE TO DO SO – this will lessen the vibration effect through your fingers, hands and arms. How do I know if I am suffering from Vibration White Finger? This is often from exposing your hands to the cold or holding onto something that is cold to the touch. Many claimants have complained of their fingers and hands feeling icy, having turned white (or sometimes red or blue) as skin does when it is starved of oxygen – a concept known in the medical world as Raynauds phenomenon. The nerve endings have taken a bit if a battering and so they may feel tingly or numb from the tips of the fingers, sometimes all the way up the hand. Often victims of vibration white finger suffer from pain in their fingers, hands or forearms, making them weaker in gripping objects. Damage to the muscles and blood vessels causes a dull ache making this type of movement difficult. Vibration white finger claims – what should I do next? Stop using the power tools immediately and seek medical clarification on your symptoms. Stopping using the tools will prevent any further damage and may even see the symptoms subside if enough time is allowed. 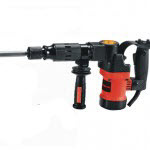 General advice would be to steer well clear of any vibrating power tool work as this will almost certainly bring back and probably worsen the matter. Tell your employer that you are unable to work on tools of this nature and seek legal advice from a specialist personal injury solicitor who can tell you where you stand from a legal position to make a vibration white finger compensation claim. Often if the symptoms are caught early, vibration white finger can disappear of its own accord but certainly if you are diagnosed and continue to use these tools then you could cause irreversible damage. Beware of certain drugs / medicine which may impede blood flow – in particular beta-blockers, anti-migraine tablets and decongestant medicines. Do not stop taking any of these drugs if you suspect it may be affecting your vibration white finger but instead speak to you doctor as soon as possible. Steer clear of caffeine for a little while as this can be a trigger for symptoms – this includes coffee, tea, coke and some medicines. Take regular exercise – especially where the hands are concerned – it is important to keep circulation to the area. If you believe that your employer is guilty of exposing you to excessive vibration tool use then you should speak to a specialist solicitor about making a VWF claim. It makes sense to do this sooner rather than later as there are strict deadlines surrounding the time period in which one can claim for compensation. If you have any questions feel free to speak to us now on 0800 028 2060 or take a look at our Claim FAQ’s page. Vibration white finger claims are just one element of our industrial disease portfolio. If you or anyone you know have suffered from VWF or any other industrial / work related injury then we will happily speak to you to determine if there is a case for compensation or not. Call us or complete one of the short forms on this website and we will call you back at your convenience. Russell Worth Solicitors – getting you the compensation you deserve. For your free claim assessment, please call us now on 0800 028 2060 or complete our Online Claim Assessment ».